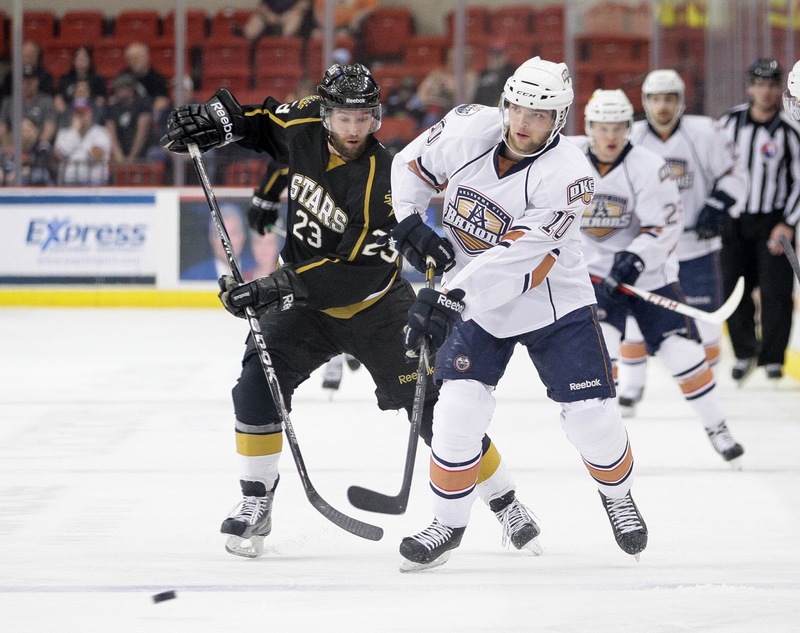 After a fantastic regular season, culminating in a top seed in the playoffs, and a tough and grinding first round series win, the Texas Stars have bowed out of the 2013 Calder Cup playoffs at the hands of the Oklahoma City Barons. After leaving Texas with a split of their home games, the Stars dropped all three games at the Cox Convention Center to fall 4-1 in the series. Coach Desjardins attempted to change his team's luck with a lineup shift. He scratched Luke Gazdic and Joe Morrow in favor of Taylor Vause and Tyler Sloan, respectively. Toby Petersen cetnered the first line, moving Morin to right wing. Colton Sceviour centered Scott Glennie and Reilly Smith while Brett Ritchie and Francis Wathier were wingers on a line centered by Vause. Full lineup changes are included at the bottom of this article, as always. In the end, the Barons were just too much for Texas. Something in the matchup between these two teams just didn't click for the Stars. The Barons' best players were their best players in the series. Mark Arcobello, Toni Rajala and a few others outpowered the talent on the Stars' bench. Matt Fraser didn't have a point in the series. Alex Chiasson had a single point, the secondary assist on the night's final goal in Game 5. Reilly Smith, Justin Dowling, Travis Morin and Colton Sceviour were not big enough factors to overcome the Barons outstanding netminding and firepower. The Barons started in the first period with the offensive onslaught. Teemu Hartikainen rang one off the post and it dribbled in with 2:39 left in the opening frame. Texas outshot the Barons 12-8 in the period but left the ice for the first intermission down 1-0 and looking a bit defeated. OKC kept it up in the second period as an early chance by the Stars turned back against them and Mark Arcobello dropped a pass for Taylor Fedun. The young defenseman backhanded the puck past Nilstorp for the 2-0 lead. The Barons continued with a two-on-one goal by two players who started the year in the ECHL. CJ Stretch finished off the pass from Toni Rajala for the 3-0 lead. Both played extremely well in the series. Former Star Garrett Stafford got a power play goal to open the third period with Jordie Benn in the box for delay of game. The Barons' fourth goal of the night was assisted by Brendan Davidson. Mark Arcobello added another as the team rounded out their scoring at five total goals. It was Arcobello's ninth goal of the postseason. The Stars put a single goal on the board to end their season as Justin Dowling put up a power play tally with under three minutes left in the third period. Reilly Smith and Alex Chiasson assisted. Texas will return to Cedar Park in the next twenty-four hours. The team will begin dispersing for Canada, Minnesota, and all their other hometowns not long after. What a disappointing end to a great season. The first period penalties was not the best way to set the tone for the Stars. Being able to save a 4 on 3 power play is great, but with the season on the line you shouldn't place yourself in that position. The biggest thing I saw lacking was Stars defense. Oleksiak had a poor pass that was right to OKC which lead to a goal. OKC's defense was on and strong as at least half of the shots the Stars put up never even got to Danis. Pucks were flying deflected off of skates, sticks and bodies long before they even got close to the net. Where was our glass thumping defense? Benn's 3rd period penalty lead to another power play goal. With the lack of defense Nilstorp allowed 16 goals in the last three games. Despite a 4-1 series I had a great time this season. I just moved here from Arizona watching the Sundogs about 8 months ago. I will definitely be back for next season. 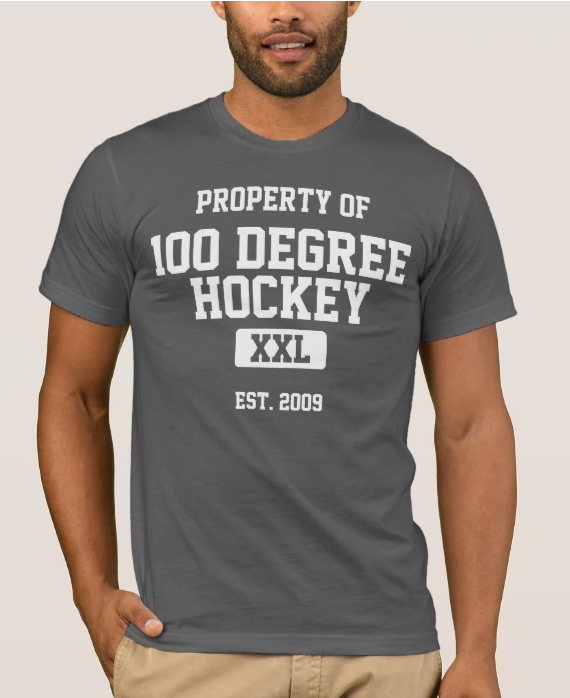 Thanks to Steven for the great reports, I will be following Hundred Degree Hockey next season too.